Hi, we’re Jocs, Anita and Paul. We founded Olivia.ph because we believe that saving and investing for your goals need not be complicated or intimidating. With a combined 40 plus years of experience in personal finance and investing, we realize that managing money can be challenging; saving and investing, even more so. We founded Olivia.ph to make it easier for you to set aside funds for the things that are important to you. Whether it’s for that vacation, your child’s college education or kitchen renovation, Olivia will visualize your goals and help you take action. Jocs is the founder and CEO of Olivia.ph. She also runs LiveOlive.com, a personal finance site for Asians. With an MBA from the University of Chicago Booth School of Business and as a Certified Financial Planner (CFP®), she helps millennials navigate their way through the complex world of budgeting, investing and saving. Anita is the co-founder and COO of Olivia.ph. She is also a consultant for an international finance organization that extends funding to developing countries. 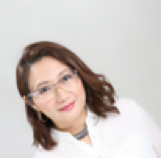 She has almost 10 years of finance experience in Indonesia and Singapore, focused on insurance, risk management, capital markets and online trading technologies and systems. This avid hiker has a Masters of Commerce in Funds Management from the University of New South Wales (UNSW), Australia. Might we mention, she also plays the bass guitar. Paul is the co-founder and CTO of Olivia.ph. He has built back-end systems for e-commerce, legal and finance sectors. A ninja web developer, his Vulcan mind works at warp speed to build mobile apps across platforms. Paul’s idea of relaxation is composing eclectic ambient noise.